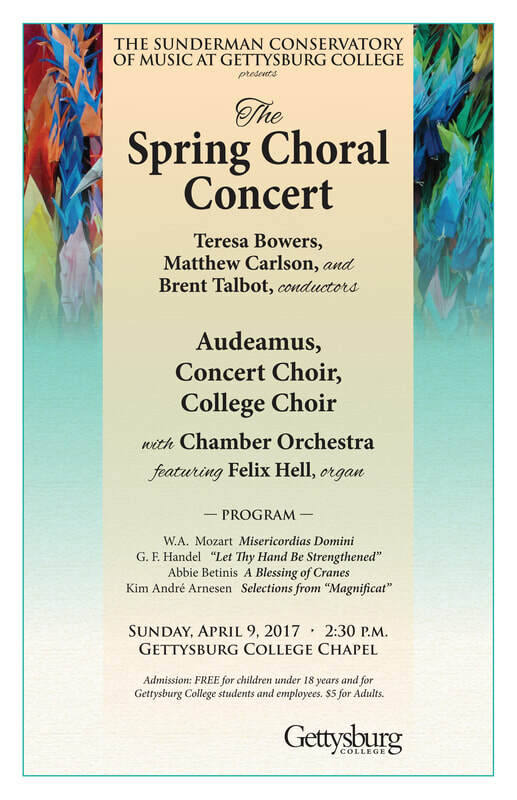 I was the interim director of choral activities at Gettysburg College while my colleague Rob Natter was on sabbatical in the spring semester of 2017. 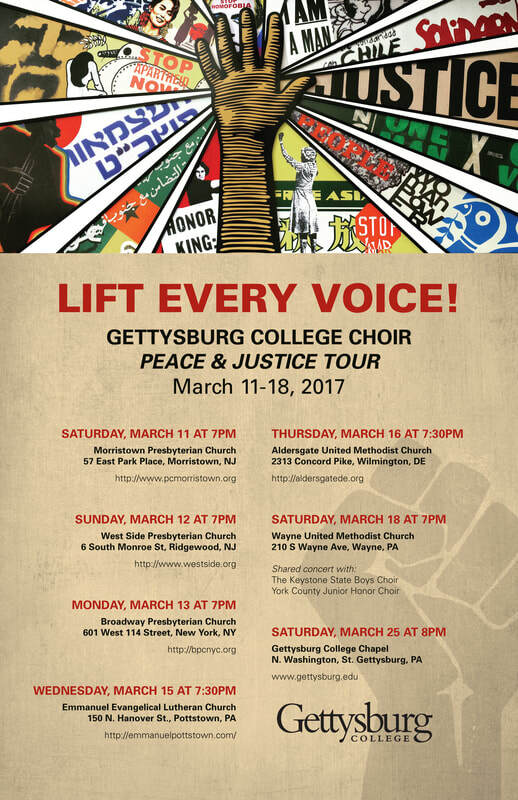 In this role, I conducted and organized 20 concerts with the Gettysburg College Choir and Camerata ensembles and coordinated a week-long tour throughout the mid-Atlantic region. We visited schools, prisons, food banks, service organizations, and churches and used our music to bring awareness of a variety of social issues such as police brutality, homelessness, sexual assault, gun violence, and LGBTQQIA+ oppression.